Categories: Perry Shorty Jewelry, Jewelry, Men, Women, Bracelets. 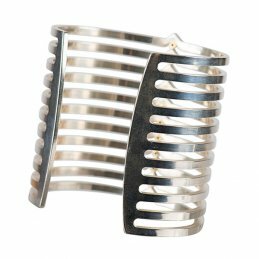 Classic Navajo style coin silver cuff with repousse and stampwork detail. 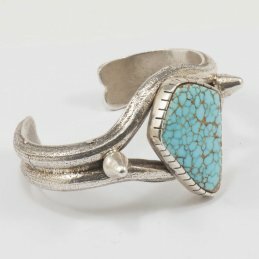 Perry Shorty uses traditional Navajo techniques to create pieces reminiscent of the early 20th century.